When the New York Cosmos visited the Minnesota Kicks in the first of a two-game series in the 1978 Conference Semifinals, it was always going to be a charged up atmosphere. Both sides were routinely at the top of attendance numbers, and their respective conferences too. What transpired on August 14 in Bloomington, Minnesota, had to feel surreal for the players on the field, and for the 45,863 fans who were on hand to witness it. The Kicks went on to defeat the Cosmos, 9-2, and set the Golden Era record for most goals in a playoff match. Before they reached that stage, however, they needed to take down a conference rival, the Tulsa Roughnecks. The Kicks had lost to the Oklahoma side twice during the season, but finished ahead of them in the Central Division Standings. Alan Willey was Minnesota’s leading goalscorer, and he found the back of the net 21 times that season. He added a pair in the 3-1 win over Tulsa. 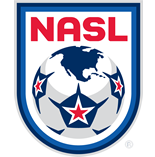 “I scored two goals,” Willey told NASL.com. “One of the headers was disputed. It looked like the goalkeeper made a great save, but the linesman was right on the goal line. That win set up the series with the Cosmos, who the Kicks lost to earlier in the year, 4-2, in Minnesota at the Metropolitan Stadium. The next matchup though, would be a completely different affair. Former Arsenal forward Charlie George found the back of the net in a record 52 seconds to put Minnesota ahead, as New York’s goalkeeper Erol Yasin was injured on the play. From then on, the match went entirely the Kicks’ way. By halftime, there was a feeling around the locker room that something incredible was happening. “Once we got up 3-0, and it was halftime, I think we had a feeling that we could do something special here,” Willey said. “No one could envision nine goals coming out. But that’s just what Minnesota accomplished. The Cosmos, who had actually conceded five goals twice in losses in the regular season, still weren’t accustomed to being on the end of heavy defeats, but rather used to doling them out. 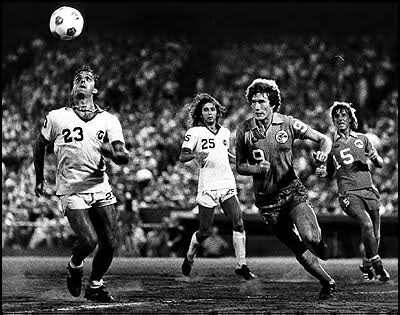 The squad featured Giorgio Chinaglia, Franz Beckenbauer, and Carlos Alberto, and the Cosmos got back into the game quickly after the restart with a goal from Chinaglia. The visitors, however, could never quite find their stride. “You could see Chinaglia was visibly upset with his teammates,” Willey said. “You could tell by his reactions every time the ball was played to him and never got there. More and more you could see his frustration coming out. Other players, once you get down 6 or 7-1, you just want the game to finish. Willey, who had a goal in the first half, went on to score the Kicks’ final four goals in the match to complete his five-goal haul. The outstanding result certainly resonated not just around the United States, but was even shown back in Willey’s native England. “They used to have a show between noon and one,” he said. “Apparently it was shown in England and that was huge. No one knew about soccer in America then or very little of it. Word of Willey’s feat certainly got back to the Cosmos’ supporters. The return didn’t go in favor of Minnesota, though. Instead, the club lost 4-0, and with no aggregate goal total to see a winner through, a mini-game ensued. And Willey just narrowly missed out on winning the series with a header during that extra time, but Cosmos ‘keeper Jack Brand made one of his only saves over the two legs to keep the ball out of the back of the net. The series went into a shootout, which the Cosmos went on to win, 2-1, before dispatching the Portland Timbers and the Tampa Bay Rowdies en route to a championship. “It hurt more the way it was,” Willey said. “Especially the guys coming from Europe, it’s always been total goals – away goals counted as double. It probably wouldn’t have hurt as much if we had only won 2-1 or 3-2 and then lost in the second game and in the shootout. The result back in Minnesota and the five goals Willey – who now is the color commentator for Minnesota United matches – scored remains as one of his top moments from his playing days. He finished his time in the NASL as the second all-time scorer with 129 tallies. While Willey and his Kicks teammates surely would have hoped for a different outcome in the end, for at least one match, they were absolutely unstoppable.